Google officially launched Android 3.1 (codenamed Honeycomb) yesterday. The minor update to Android 3.0 (codenamed Honeycomb) is being made available to various tablets, starting with the first tablet that launched with the tablet-optimized version of Android: the Motorola Xoom. At the same time though, Google is also planning on pushing Android 3.1 to Google TV. For consumers, this means that the Android Market is coming to a TV near you. For developers, this means being able to use one SDK to ship apps that work both on Android tablets and on Google TV devices. As we've reported earlier, Google's partners are having trouble pushing Google TV because many consumers are finding the platform too complicated to use. It also doesn't help that many TV networks are blocking Google TV in the US. The company is hoping that the promise of being able to download and install Android apps will give the platform new life. 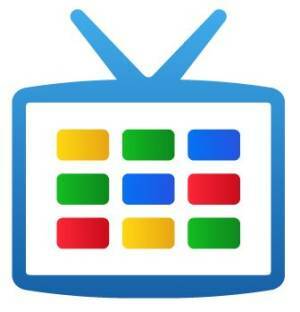 Existing Google TV devices will be getting Android 3.1 as an OTA update sometime this summer. At the same time, Google has hinted that new hardware from Samsung and Vizio will also be arriving, but wouldn't share further details. The two were rumored to have Google TV product announcements set for CES 2011, but those plans collapsed, and another rumor even said Google was the one that delayed the products. Either way, now it has been confirmed that there will be four hardware vendors for Google TV (the other two current ones are Logitech and Sony). Maybe Google TV can still succeed.